Because sealing up this one little area is a no brainer for the added comfort and energy savings it provides. Most homes in Michigan have insufficient or no insulation in their rim joist causing cold outside air to easily enter the home around the foundation area. Open cell spray foam expands 100 times to fill all the cracks and crevices in the rim joist. With a total air seal that other insulation materials can’t hold a stick to, spray foam in the rim joist is one of the most cost efficient ways for homeowners to take control of the comfort and energy efficiency in their home and basement. Preventing air leaks around your home’s foundation area in the rim joist increases your home’s energy efficiency and savings on monthly energy bills. The air seal created by spray foam insulation is key in creating a basement that doesn’t experience huge temperature swings and remains comfortable. With less cold air coming in from the outside, floors are more comfortable and drafts around the foundation are greatly reduced. The process of insulating a rim joist is quick and simple for homeowners who want to get started with comfort and energy efficient updates or for the homeowner ready to retrofit the entire house with foam insulation. For over 15 years RetroFoam of Michigan has been insulating existing homes across Michigan’s lower peninsula. Our consultative estimators, highly skilled crews, and helpful office staff have a mission to guide you through the whole process with ease, and we also offer a lifetime warranty on our product and workmanship. 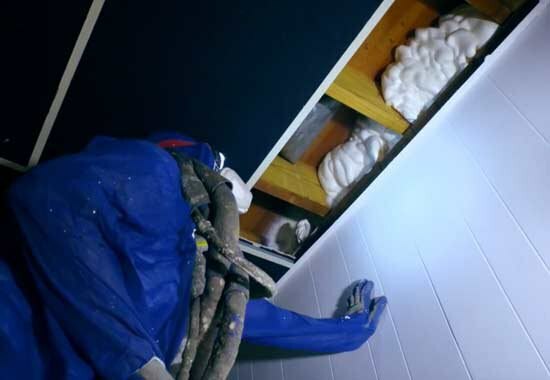 If there is currently old fiberglass insulation in the rim joist, a crew will remove the old insulation and dispose of it so you don’t have to mess with it. 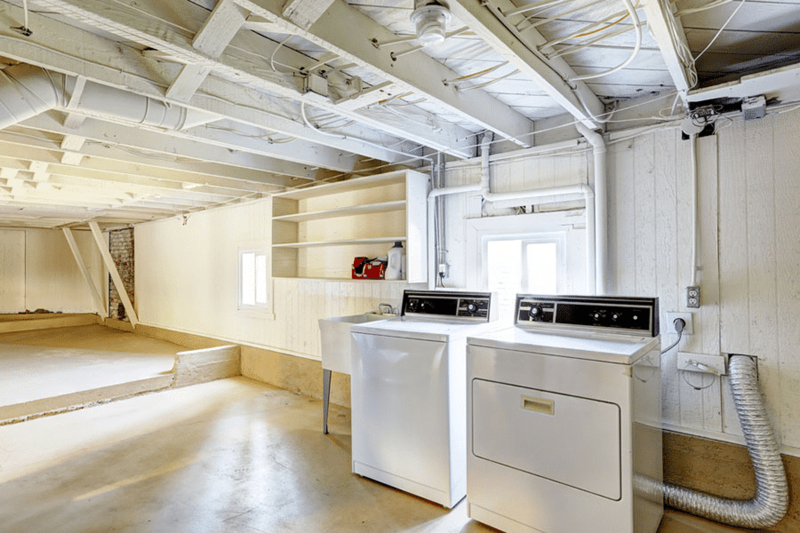 They will then ensure any furniture or storage bins are cleared away from the basement walls. If necessary, the crew will then place plastic over the windows and any shelves and storage to make sure they don’t get overspray on them. If we are also insulating your crawl space, the rim joist is included in that scope of work as well. 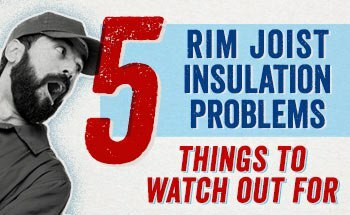 What is the Best Rim Joist Insulation? 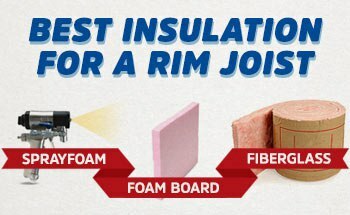 Want to compare all insulation options for your rim joist? Learn about the pros and cons of the most common insulation materials used for this project. How Much Does It Cost to Insulate a Rim Joist? Wondering how much it costs to insulate a rim joist? Learn about the factors that impact the pricing of foam insulation, as well as what you might expect to pay to insulate your rim joist. 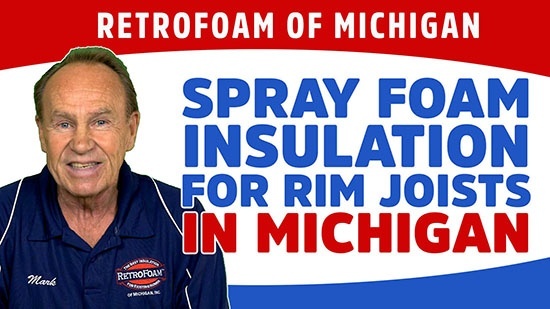 Most Michigan homes have insufficient insulation in their rim joists. Learn what problems this poor insulation causes from cold floors to condensation and how to avoid them. Can spray foam in the rim joist help with moisture problems? Spray foam creates an air seal that combats moisture and mildew problems caused when cold temps meet the warm interior air. Learn more. Will insulating the rim joist help with drafts around my floorboards? Yes because the air seal spray foam creates will keep that outdoor air from getting into your home causing those pesky drafts and cold floors. Learn more. Take the first step towards a more comfortable and energy efficient home.